This floor can be used indoor or outdoor on HARD surface only! 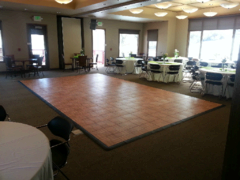 Prices below are for the dance floor rental only. There is also 8% tax and a travel fee based on your zip code area.